The Cowboy Birder: Siberian Chiffchaff - I think so! Last week I popped into Vange Marsh an old boyhood patch of mine, now under the management of the RSPB and part of a network of reserves titled the 'South Essex Marshes' which turned out to be rather interesting! Not a great deal had changed except the addition of a couple of sluice gates controlling the water levels on the fresh marsh and the installation of some iron gates/come screen hides sadly restricting access to the perimeter of the marsh but understandable necessary - I used to see young lads on their motorbikes scrambling all around the marsh! Another bitterly cold day with occasional snow flurries wasn't that inspiring with a couple of Green Sandpipers, two Avocet, three Northern Pintail, Woodcock and a couple of calling Cetti's Warblers were about the best on site - that was until I picked up a Chiffchaff in a reed ditch, following its movements through the reeds I picked up a second bird then I noticed the attraction, the reed ditch was being fed by a sewage outlet pipe with a small flow of water draining straight into the ditch. Before long I had picked up at least four birds with possibly a total of six all feeding along the ditch making use of the open water and what insect life was living there. 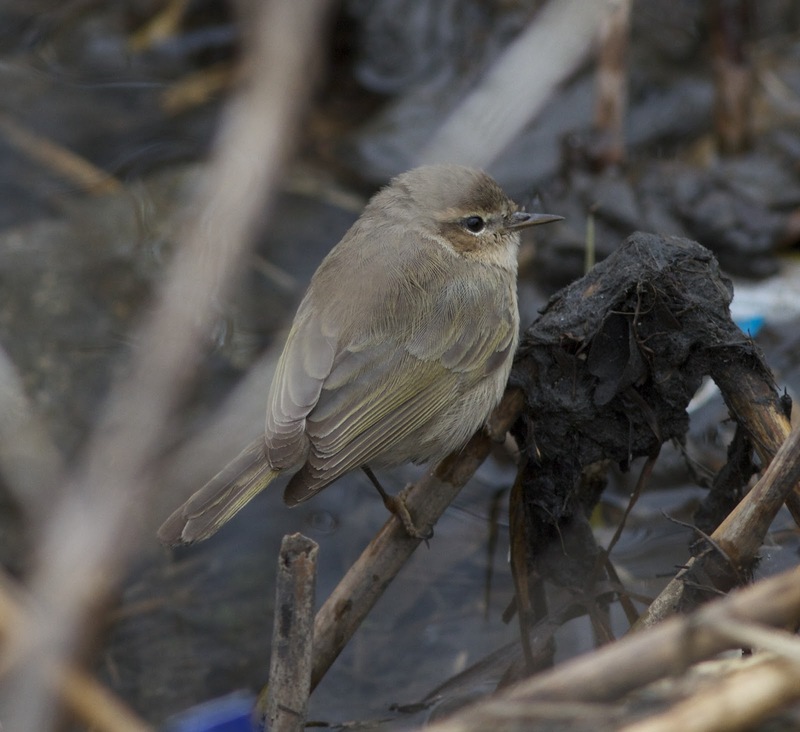 One of the birds stood out amongst the others as being noticeable colder, greyish-brown in the field in comparison to the others! Without knowing that a 'Sibe' type Chiffchaff had been reported in the days previously I made my own conclusions that this bird could be an eastern race tristas Chiffchaff and took the next series of images. Unfortunately no call was heard, but unlike the other birds which were occasional calling this bird stayed silent throughout the time I was observing it. 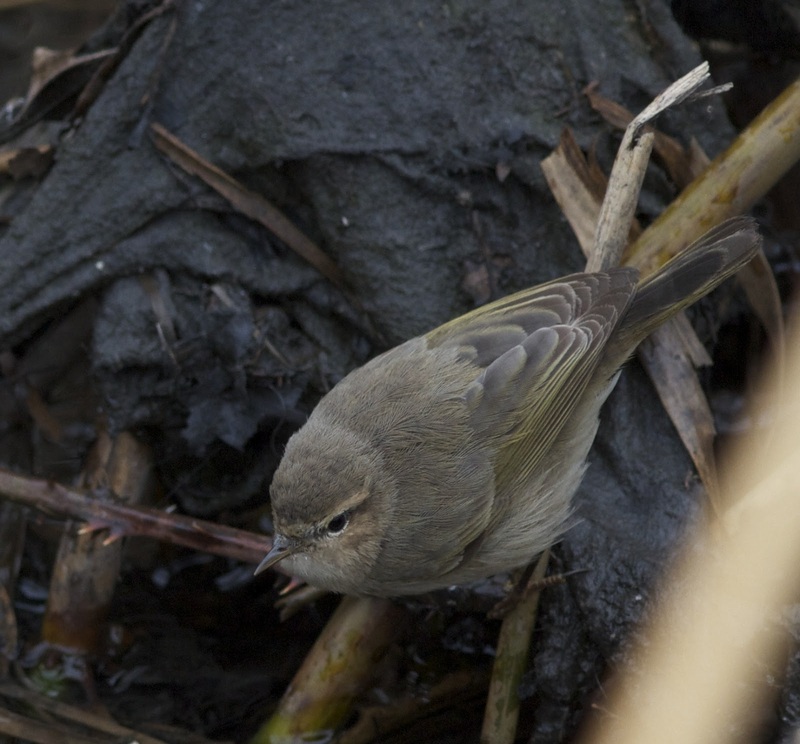 As a comparison the bird below is one of the other classic Chiffchaff's (Phylloscopus collybita) on site that day and is a good indication of the type of light the camera was picking up, which I've read can give a particular bird subtle and varying plumage tints depending on the background and general weather conditions - this bird has a much warmer olive green appearance in the upperparts. Would I have picked up the subtle differences in the field if it had been a single lone bird - maybe not, but having other birds in comparison was the big advantage. 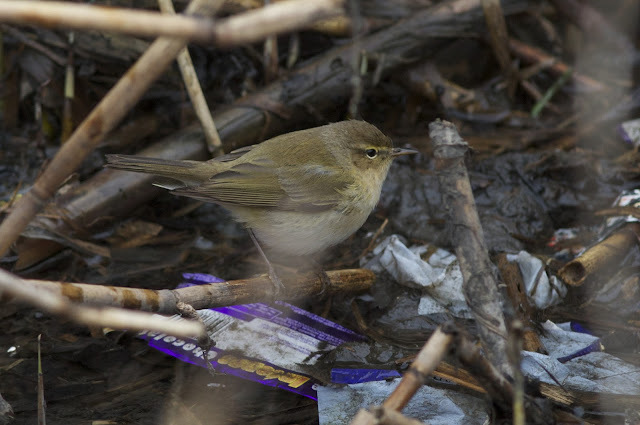 It will be interesting to see how this develops and whether this bird is later accepted as a Siberian Chiffchaff (Phylloscopus collybita tristas) or just put down as another anomaly! 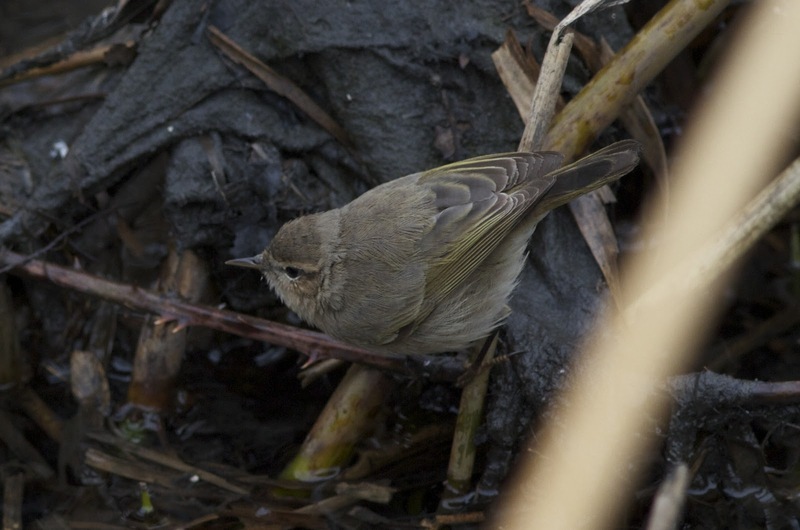 If you have seen this bird or have a greater knowledge of 'Sibe' Chiffchaff's - please feel free to comment? 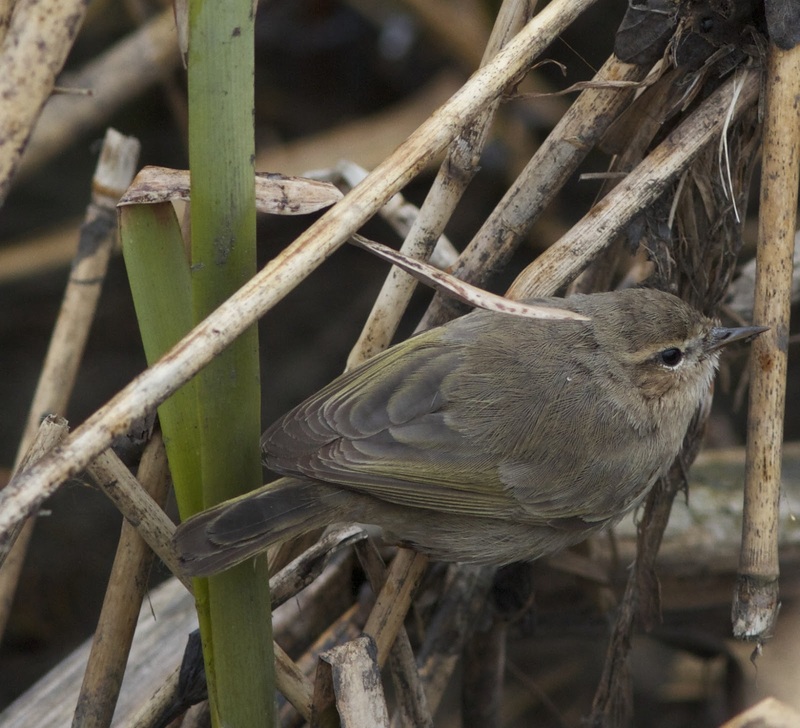 Hi Tony, your bird does look very good for Sibe Chiffchaff. The only problem is that if it's going to be accepted you need it to call or sing! As you know it took me 3 weeks to finally confirm my bird in Leicestershire after it finally call and then sang last weekend. 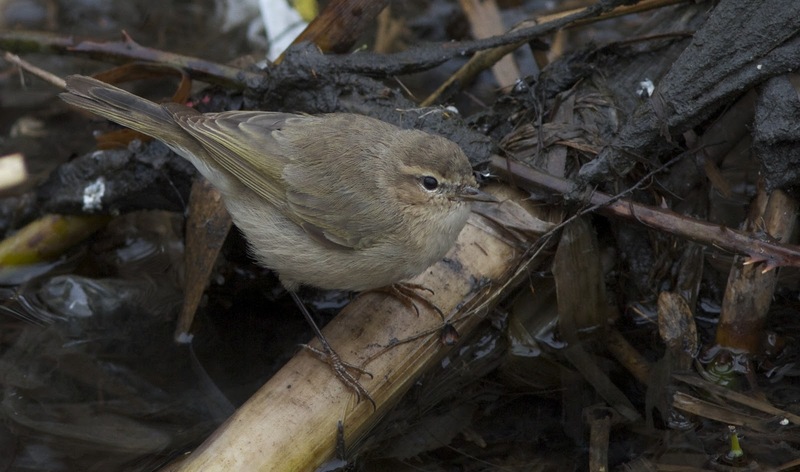 However there does seem to be that influx of Siberian Chiffchaff into the country last Autumn and winter this year. Thanks for your comment David, unfortunately It's not a site i frequently visit, therefore it's in the hands of the local birders to listen out for the call - here's hoping!